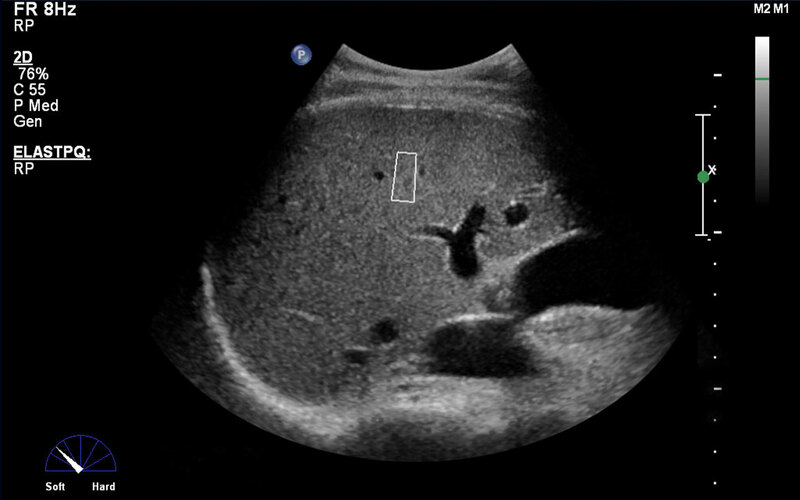 Ultrasound image artifacts have many sources, both internal and external, and can be described in many ways but essentially they are areas of the image that have missing information (dropouts), static (non-moving), and dynamic (moving) artifacts. Last month, we addressed noise issues. So, let’s take a look at missing information due to system malfunctions. When the service call comes in for image artifacts in general, the first item we want to address is the transducer. If the customer tries a different transducer with the same format (ideally linear or curvilinear) and the issue goes away, we have determined the probe is the issue and we are done. We also want to ask the customer to try different ports on the ultrasound system to eliminate a connector board issue, but before you do, have the pins on the transducers and system connector board inspected to ensure you are not creating additional problems. These two troubleshooting techniques can be performed over the phone, eliminating a service visit. If the probe and connector board are eliminated, we move on to the system itself. While the image formation section of ultrasound systems vary in complexity and name (beam former, front end processor, image former, acquisition subsystem … ), there are similarities between all makes and models. Every ultrasound system has transmit, receive and beam forming sections or boards and most console based systems have multiple boards performing the same function for different sections of the images. Examples are the Philips iU22 and iE33 which has multiple channel boards or the GE Logiq/Vivid E9 GTX and DRX boards. If this is the case, you can remove power from the system and exchange these boards to see if the artifact moves along with them. If so, you have identified the problem. In systems with a single assembly performing transmit/receive/beam forming, the entire assembly likely needs replacing. 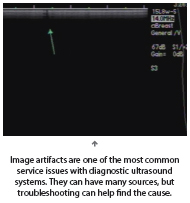 Image artifacts are one of the most common service issues with diagnostic ultrasound systems and by using the above suggestions, you can potentially eliminate a service call and associated costs. To see previous columns, please visit TechNation magazine at https://1technation.com/author/matt-tomory/.